Japanese rock band SPYAIR announced their first world tour on July 28, with tickets going on sale the same day. The tour is scheduled to begin in Atlanta in the United States on September 23. The group will be joined by fellow Japanese rock band ROOKiEZ is PUNK'D for the North and South American and European legs of the tour. 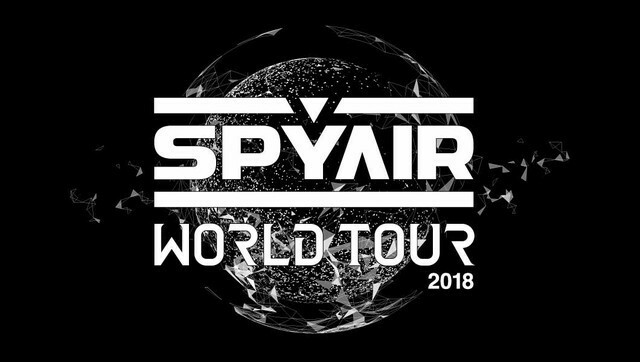 Starting November 7, SPYAIR plan to conclude their 2018 tour with solo performances throughout Asia. SPYAIR were formed in Nagoya in 2005. After years of independent work and a single year with indie label U-Project, they signed with Sony Music in 2010. That same year, they broke into the Top 50 Oricon Singles Chart with "Last Moment," which was also featured as the 25th ending theme for the anime Bleach. They have since released numerous CD singles used as anime theme songs, including "Samurai Heart (Some Like It Hot!!)" for Gintama' and "Imagination" for Haikyuu! !, and have released seven albums since 2008. They peaked at second place in the Oricon Albums Chart with their 2013 album Million. Their most recent album, Kingdom, was released in October 2017 by Sony Music and JPU Records. Currently airing TV anime Gintama. : Shirogane no Tamashii-hen 2 features SPYAIR's latest single "I Wanna Be..." as its opening theme. That's pretty cool that they're coming to my country and even in a city which is not too far! I will defenitely attend since I want to see Spyair so bad! Awesome that one of my favorite bands are going on their world tour for the first time. Interesting to see it doing at another place other than Taipei.